Place apple slices in a greased baking pan and cover with 1/3 cup granulated sugar. 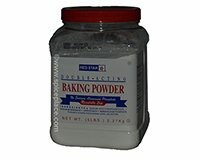 In a mixing bowl, mix brown sugar, shortening or butter, oatmeal, flour, baking powder and baking soda. Sprinkle this mixture over apples. Bake until apples are tender and top is lighly browned. Approx 20 minutes. Serve Apple Goodies warm with vanilla ice cream or whipped cream.